My family and I have lived in several countries together as a consequence of my husband’s job. I find a lot of inspiration in my immediate surroundings: in the places I have lived and traveled. Another major influence is vintage fashion. I love all eras and the 1950s and 60s in particular. I love working anything seamless! 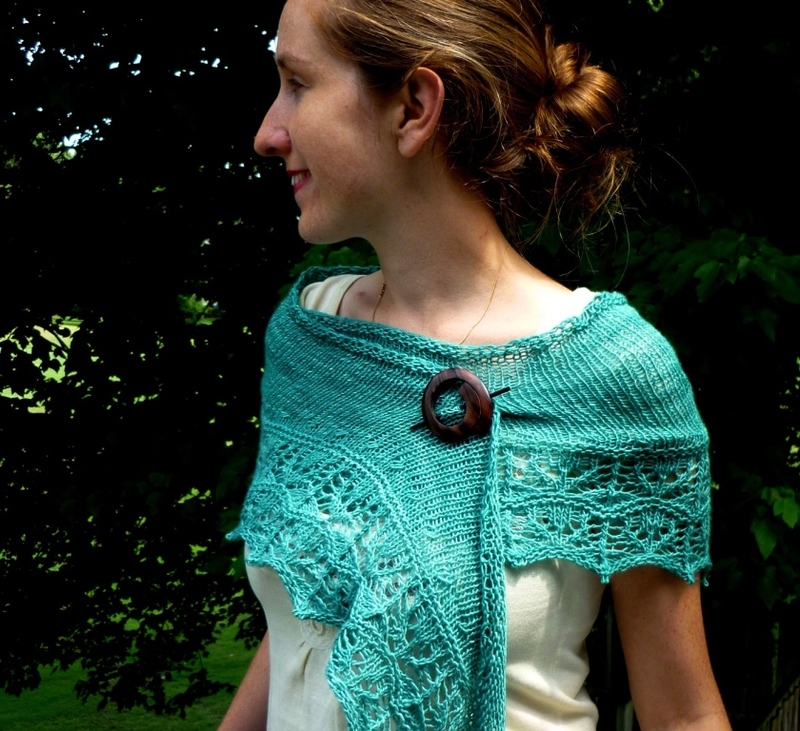 Crescent shawls shaped with short rows are a favourite as are top-down raglan cardigans. I try to have as large a size range as possible while maintaining the essence of the garment and ensuring it flatters all shapes and sizes. I love to knit! That includes checking out the many wonderful patterns out there, I am often in awe of the creativity and originality of other designers. 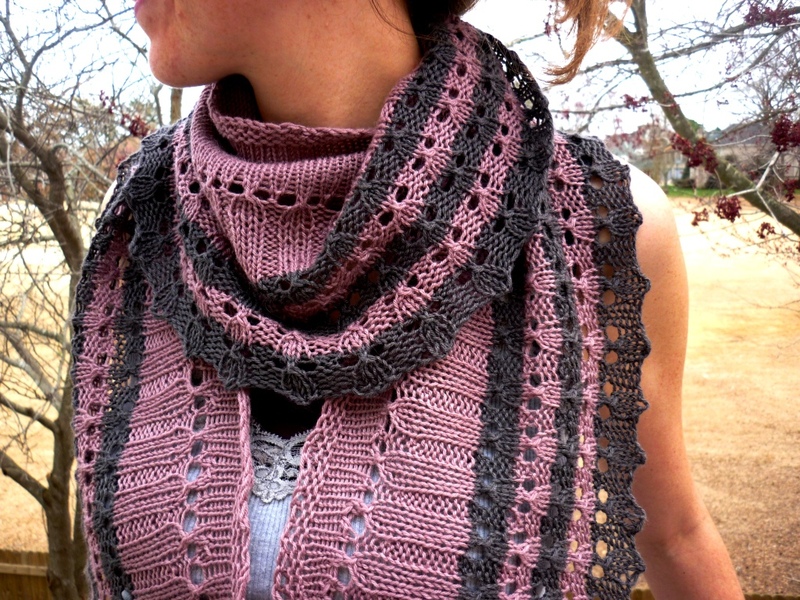 When I have a new design idea in mind I first check out the patterns on Ravelry.com to see if something just like it has not been done before. I don’t think it is necessary to “dumb down” patterns for them to be popular. 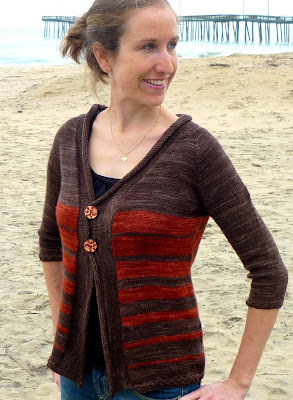 Sure, a fairly straight-forward sweater design with just a little detailing may do very well as a lot of knitters will be able to knit it. However, many of the knitters who enjoy knitting that sweater are soon going to want to knit more complicated projects, so there is a place for more intricate designs as well. When designing, I create what I would like to wear and what I would like to knit. Sometimes that can be very simple: I have published a few patterns that are very easy to knit and definitely beginner level, or would make for so-called ‘tv knitting’ for more experienced knitters. It depends on the design. 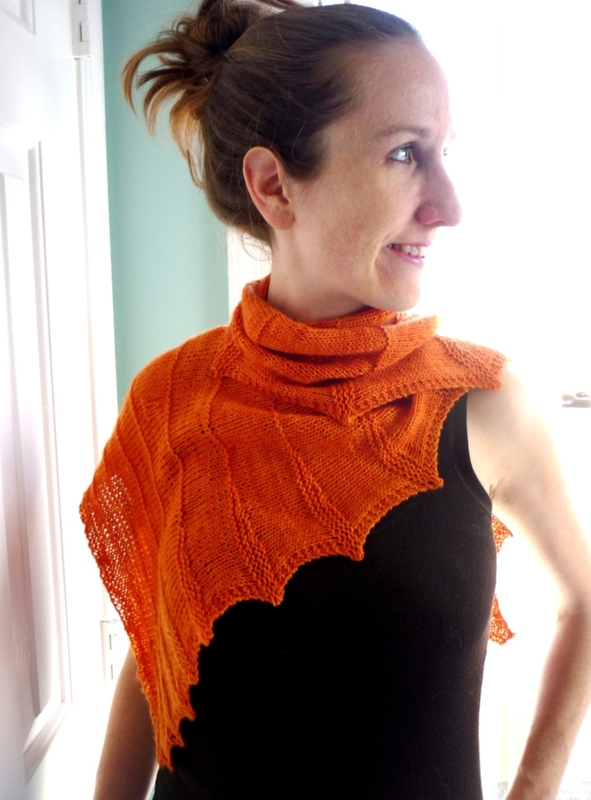 I always knit the first sample myself and then often use between 3-10 test knitters to work up different samples. 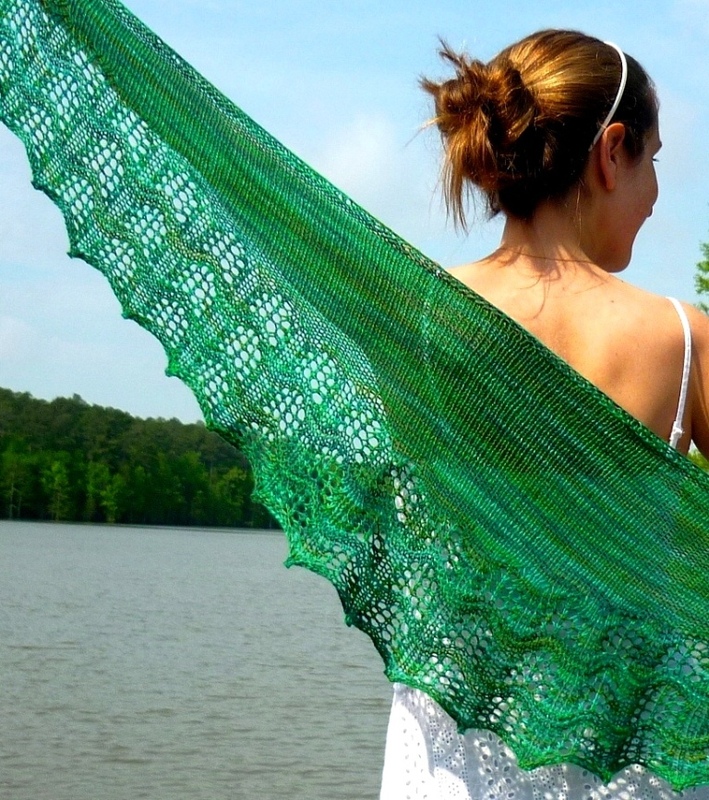 For a recent shawl design I had thirteen knitters test the pattern, we had a great group and a lot of fun knitting together. The test knitters come up with beautiful colors, sometimes variations, and provide great feedback to me during the publishing process. Could you tell us why you named your business Woolly Mammoth Knits? I love the history of our craft and from thinking about this jumped to the idea of how much yarn a woolly mammoth, an ice-age mastodon, could have produced. Imagine a hand-dyed 60% merino, 40% woolly mammoth sock yarn! That is how I came up with Woolly Mammoth Knits. I did not when I first started out designing. I am a bit of an ‘accidental designer’ in the sense that I did not plan to become a designer but rather began creating patterns because I could not find what I wanted to knit among the many patterns that were already available. I think quite a few designers start out this way these days. When I realized some of the patterns I had thought up were quite popular I started thinking about designing as a career and things grew from there. I have since made a business plan, too. I do not have a mentor but I have learned a great deal from working with my tech editor, Katherine Vaughan of Katherine Vaughan Designs. A huge impact! I could not have made knitting my career if it was not for the Internet. The amount of patterns I publish via the traditional avenues of books and magazines is such a small percentage of my work. 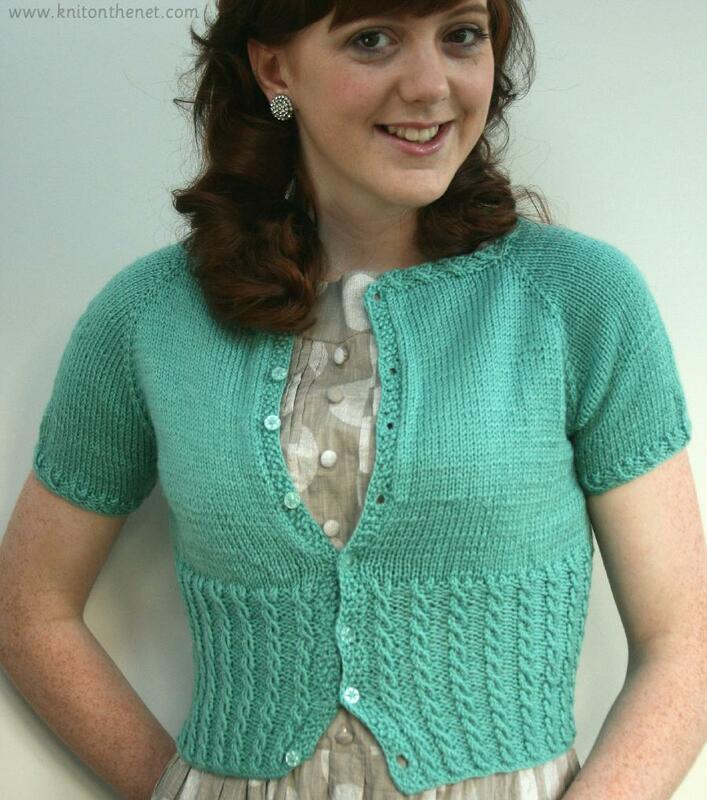 Most of my patterns are self-published or have appeared in online knitting magazines such as Knitty. Yes, I cannot imagine how anyone can work without a tech editor. I have a great tech editor with whom I’ve worked for years for my self-published patterns and love working with the in-house editors of other publications. It’s not always easy to maintain a proper balance. I have young children and while our eldest is in preschool three days a week, our youngest is just one and a half years old and she is always home with me. I often work on patterns and advertising in the evenings and am always knitting samples: at home when I can, in the car (not when I’m driving! ), anywhere I can take my knitting with me. I like to think we all have different tastes and so not every design is going to be to everyone’s liking. Still, when a pattern isn’t as successful as I would have hoped, or there just isn’t as much interest in something you have spent a lot of energy on, poured your heart and soul into, it can be a little tough. However, I think knitters are generally good about giving positive and constructive criticism. I wouldn’t be able to support myself solely on knitting, but my husband and I together make things work just fine. Running a business from home works very well with my little daughters and we move often, so the knitting is a career that goes with me. If knitting is something you love as much as I do, if it began as a hobby and developed into an obsession, then why not pursue making your love your work? My advice would be to design what you love and to try to create a mix between self-publishing patterns and submitting design ideas to knitting magazines to get your name out there.